Somewhere near the beginning of our Winter Skills course we discuss the “three systems” we rely on as hikers, backcountry skiers, climbers, and mountaineers. 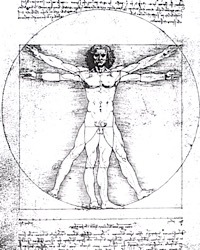 This triad of systems of which we speak refers to us, what we wear, and what we carry. Let’s discuss these systems, starting with the one we should know best: us. This is the most important system, even though all are necessary, this one sets the stage for the effectiveness of the other systems. If we don’t manage ourselves well, failure is almost assured, even if the other two systems are perfectly executed. Unlike the others, managing ourselves must begin days if not months prior to the hike. Days are necessary to plan our hydration and consumption of foods unless we always strive to be in ready condition. Months may be needed if we’ve slipped far from a condition of readiness. Have a level of fitness sufficient for the task at hand, plus considerable reserves. Reach and maintain a proper level of hydration days in advance of the planned hike. Be properly fueled with foods you won’t react to (avoid foods that make you “go”). Be well rested and feel well, not sleep-deprived, sick, over-caffeinated, or hungover. If we and the others in our party have individually prepared this important system properly, we then need to ensure we are prepared to maintain this state. We do this by carrying enough water to get us through the day, plus extra or a means of finding/collecting/extracting it. It’s also important to consider electrolyte levels by consuming products designed to help, drinking sports drinks, and/or ensuring we eat sufficient salts while drinking water. We also need to ensure we have enough food for the day (plus extra). Some proteins to help us feel full and reward our muscles, and more importantly fats for a steady source of energy, plus some ready sugars in case a quick energy boost is needed. Once this is done, it’s time to ensure the other systems are equally in a state of readiness. The biggest challenge of our personal layering system is thermoregulation. This ability to regulate how hot or cold we feel not only affects our well-being and mood during a hike, it’s critically important to our safety. If we get too hot we sweat, then cool down through increased conduction and evaporation, primarily. Our layers help us manage this process on a scientific level, but it’s tricky, and getting too hot and too sweaty can lead to getting too cold… and this can kill you. Our understanding of layering, the weather, our pace, and how we feel is critical. This is essentially your underwear. Long underwear in winter, tops and bottoms, plus your socks. These articles need to either be made of wool, which will insulate while damp with sweat, or a synthetic polypropylene-based material designed to wick moisture away from the skin via capillary action and surely some science or magic. It’s possible to strip all the way down to this layer so as to stay cool while ascending or exerting yourself. As a general rule, start cool to become comfortable (versus starting comfortable to become sweaty and overheated). These will be your shirt, hoodie, light jacket layers and pants and might be made of either fleece, wool, ultrathin “puffy” (quilted down or synthetic batting), or soft shell materials. We’d suggest at least two of these mid layers for the upper body in winter. Except on the most extreme days, we don’t generally wear a mid layer pant at all, opting instead for a base layer followed by a hard shell layer. This is a personal choice. Many others prefer a soft shell pants over a base layer carrying a separate rain/wind pant. Experiment to find what works best for you. The mid layer items above do insultate and are often worn alone or with shell layer articles, as noted. The isulating layers we are referring to in this case are the “puffy” — a parka layer. This is worn during extended stops or during emergencies only, except on the most extreme days. Most people only have an upper body layer of this type, but there are “puffy pants” available for those who think they might need them (those who might be standing around). There are some ultrathin “puffy” jackets out there, as noted, but again, they are more like mid layers — in winter, anyway. When it’s really blowing and cold, or when there is precipitation, the hard shell layers go on. Since these wind- and waterproof articles don’t breathe well, we reserve their use for when really needed. 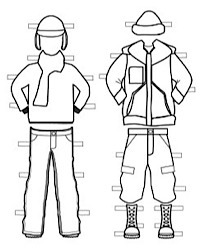 Generally we wear our base layer or mid layer articles as our outer layers except when something more is needed, leaving our hard shells in our packs with our “puffies.” It should be noted, however, that our shell layer may need to offer protection to all your other layers and needs to be sized large enough to accommodate them worn together. It’s important to note that the layers above will contain no cotton or denim. Those materials get wet easily wicking moisture through the fabric, and stop insulating once they do. Moreover, they take a long time to dry once they do get wet. It’s also important to note that footwear is a major part of the layering system and we recommend a good winter hiking or mountaineering boot that is impervious to water, warm, comfortable, protective, and should probably be worn with gaiters to ensure unwanted items stay out of your boots, sealing the system, and to protect your pant legs from crampons. Now that systems one and two are ready to go, the last system regarding the stuff we carry follows. Once systems one and two are a go, it’s time to address the third: the stuff in our pack. Our gear. It changes from hike to hike based on our needs, agenda, the season, and the weather, just like our layers do. Some of it, however, doesn’t change at all (first aid kit), or transforms only in size or scale. As an example of the latter, we always carry that abovementioned insulation layer. What changes is its size and ability to insulate with respect to the weather and the season. Our big winter puffy, for example, goes into storage while our thin mid layer puffy becomes our big layer for the warmer months. Everything shifts accordingly up or down the scale. Please note these other gear concerns. 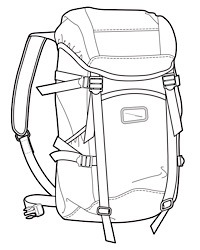 Pack with a “surviving 24 hours” mindset… the “24-hour pack” concept. Ensure you’re capable of handling the weight, otherwise start training. Pack in the opposite order of need starting with what’s needed least. Consider weight distribution, balance, and what goes close to your body. Year ’round we suggest hikers carry our recommended thirteen essentials (instead of the ten essentials), along with any specialty gear like traction or trekking poles, for example, then adjust and size these items as needed. Please bear in mind, this segment is an overview. Gear will require a dedicated article at some point in the future.